Holiday themed activities are motivating for kids and easy to set up. 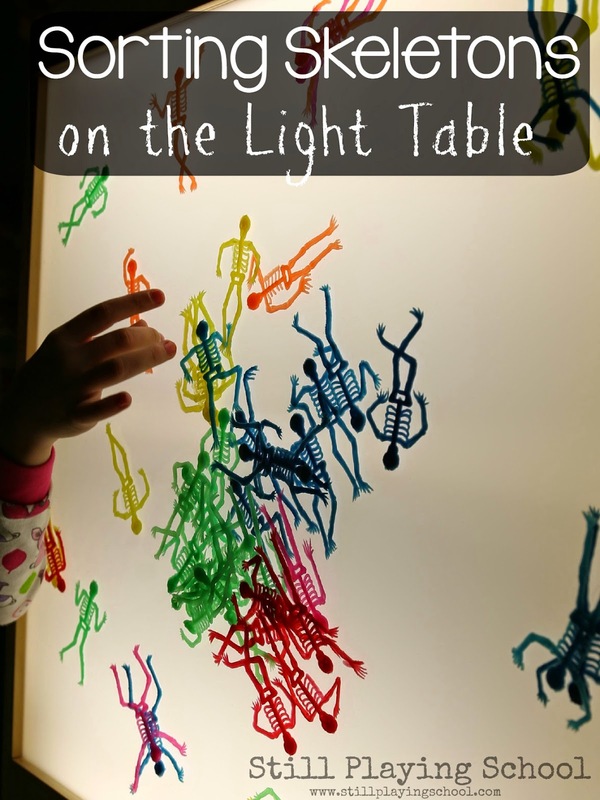 As an engaging Halloween math activity we sorted skeletons on the light table! 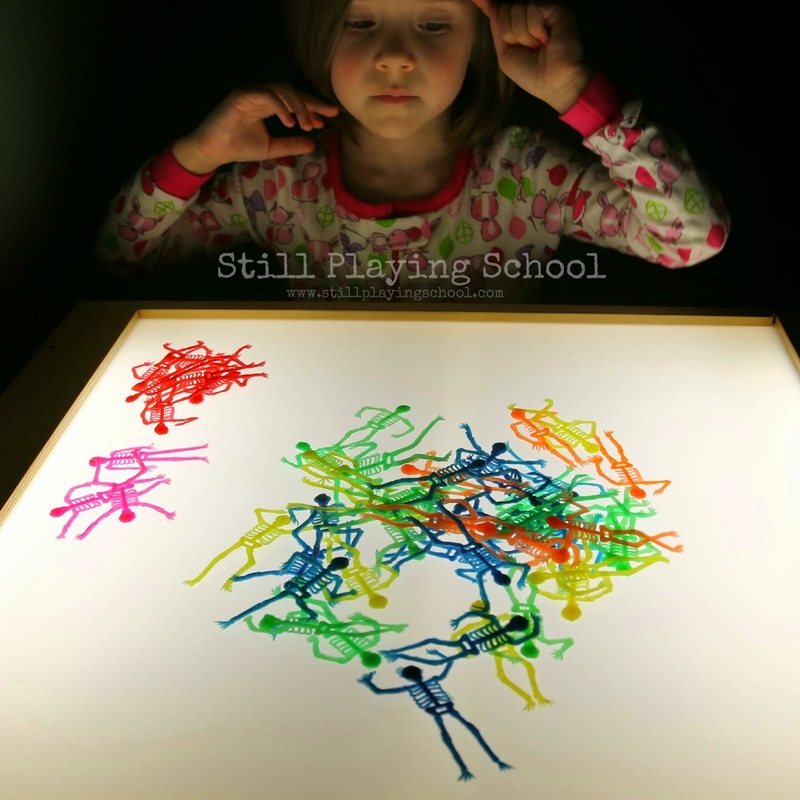 We love our ALEX Toys Prism Light Center for educational invitations to explore. 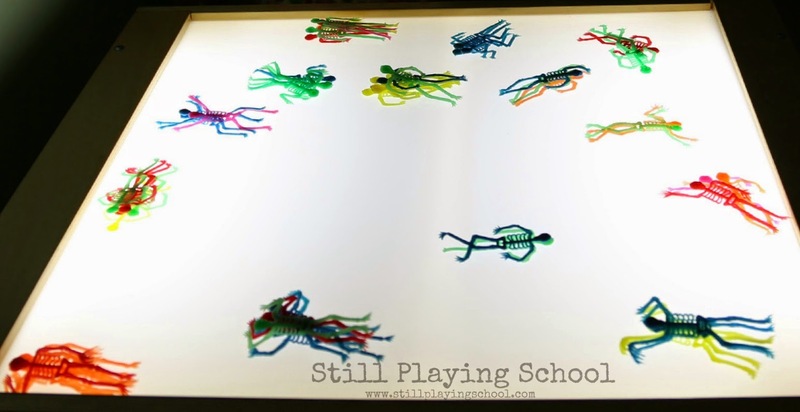 We have colorful Halloween skeletons in all different body positions which I put on the light table for our preschooler to sort. E sorted by color first then counted how many skeletons she had in each pile discussing with math concepts of more, less, and equal. I always ask her to re-sort using a different attribute (Yes, I use that specific math term with her!) so next she divided them by how they were standing. Sorting by their body positions was trickier than we thought! Several of these skeletons only differ by the way their are holding one body part so we discussed our work using the position words left and right as well as prepositions such as above, across, behind, and below. This task took close observation skills and collaboration. Our preschooler loved it because it was delightfully "spooky" for her!